NAIL POLISH CAN IT BE RECYCLED & WHY SHOULD YOU RECYCLE? Nail polish can be recycled. Traditionally consumers throw away their unwanted polish in their solid waste. At CHEMWISE we offer some pretty awesome recycling programs. 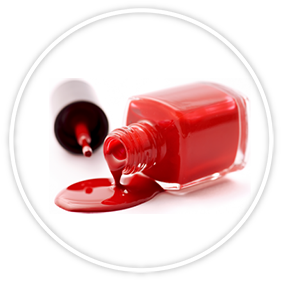 One of our many programs is our nail polish recycling service. Throwing away polish can cause environmental problems. First of all, the liquid can leak from the glass bottles if they break. As a result it can then ooze into the soil and make its way into streams, lakes, rivers, and other bodies of water. Furthermore, many polishes contain various chemicals, pigments, and solvents that can consequently harm wildlife, humans, and our environment. 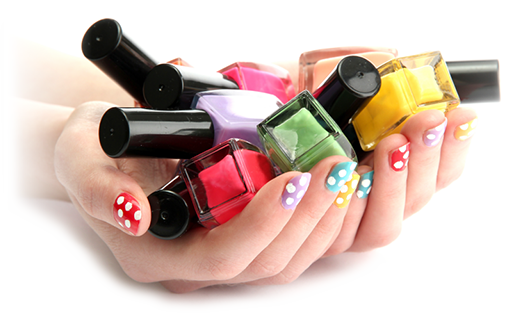 Most noteworthy, some chemicals found in nail polish can even show up in drinking water after leaching into the soil. At CHEMWISE we make sure that polish does not end up in landfills so that it cannot leach into soil and as a result impact the environment, wildlife, and humans. Finally, are you ready to help protect the environment by simply recycling your nail polish? While you may only have a few bottles laying around don’t toss them because you can phone your favorite salon and ask them if you can drop them there. They may have an established recycling program in place making it super easy to recycle your polish. CHEMWISE partners with locations all across the United States. In addition to phoning your favorite salon you may search for locations that participate in a CHEMWISE recycling program near you by clicking here. In conclusion, customers love the simplicity of CHEMWISE nail polish recycling services. We are accepting polish from industry, retail establishments, manufacturers, and even consumers.